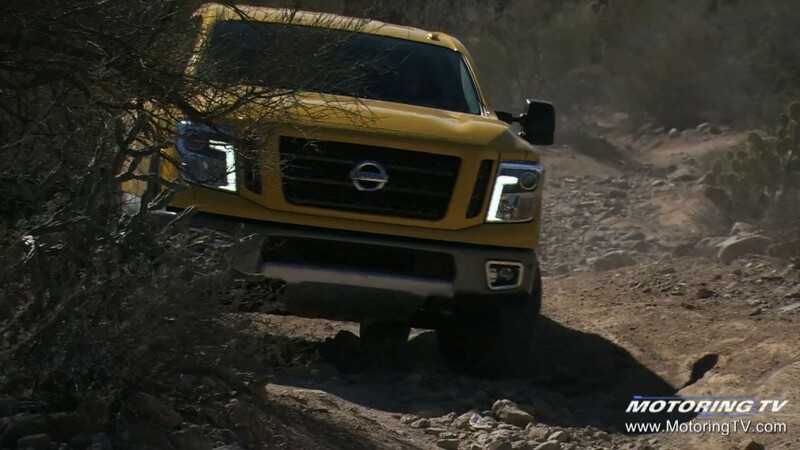 The 2016 Nissan Titan was unveiled at the Detroit auto show in January 2015, but it was more than just the styling that the automaker was excited about. And speaking of the styling, a couple of Canadian designers played pretty major roles in the Titan's looks both inside and out, but we digress. It was the addition of a Cummins turbo diesel powerplant that created most of the buzz, with Nissan going all-in to compete with Detroit's Big Three in the segment. Fast-forward nearly a year, and the Cummins-powered 2016 Titan XD was ready for its debut. As expected, the Motoring TV team was on hand in the Arizona desert to take a closer look at the Titan XD and its impressive powertrain. This segment originally appeared on Episode 10 of Motoring 2016.